The Nunchi Game for an ESL class in Korea | So, You Think You Can Teach ESL? 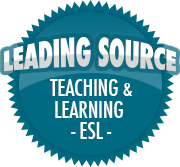 Are you an ESL teacher looking for a game to use in a class that’s going to start in five minutes? Then the nunchi game is for you because it requires almost zero preparation! As long as you have a vocabulary list that you’re working on, you’re good to go. What’s great about this is that it’s easy to explain because there will be at least one student in class that already knows how to play, and it could go on as long as you want. Nunchi(눈치) is a Korean word which means, the ability to detect others’ feelings and actions. What is the nunchi game (눈치게임)?